This compilation is an attempt to list the first 200 patentees in Putnam County Indiana as part of the Indiana Bicentennial Celebration. A patentee is one who has paid for and been granted land by the proper governmental authority. One of the references used in this research is PUTNAM COUNTY INDIANA LAND PATENTS available at the Putnam County Library. Page references refer to that publication. 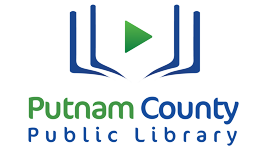 John M. Colman is the first name in the Patentee Book for purchase of land in Putnam County. Colman's land lies in what is now Washington Township near the confluence of Deer Creek and Big Walnut River. John Colman's entry of December 18, 1818, is followed by another Colman, one Samuel Colman who also entered land in Washington Township April 7, 1819. Since the rivers were the highways, it follows that properties close to water were most desirable. Men named Cagney and Mark formed a partnership to buy the east half of the northeast quarter of section 10 of Washington Township near Colman's claim. Their purchased was dated April 14, 1818. It wasn't until November of 1820 Jefferson Thomas entered land in Section 19 of Greencastle Township on Big Walnut directly west of where Greencastle is now. He bought the northeast quarter of Section 19. The west half of the southeast quarter of Section 19 went to John Miller November 18, 1820. Big Walnut flows through the southeast quadrant of that plat. Richard Moore was the first to enter land in Madison Township in Section 34 where he bought the east half of the northeast quarter. That December 13, 1820 purchase bought the land directly south of where the Big Four Arch is now, also on Big Walnut. Another early land entry in Putnam County was Felix Clodfelter, great grandparent of most of the local Clodfelters. Felix was the first man to enter land in Russell Township. On October 11, 1820, Clodfelter purchased the west half of the northwest quarter of Section 18. That was on a small branch near what is now County Road 800 West. Jacob Grider purchased land in Section 13 of Russell Township January 11, 1821. That was on a branch of Big Raccoon Creek. Abraham Lewis is credited with the purchase of land in Washington Township February 10, 1821 when he bought a large tract in Section 14. That's directly south of the current Boone Hutcheson Cemetery and north of the village of Manhattan. David Grimes was the tenth pioneer to enter land in Putnam County when he purchased the northeast quarter half of Section 10 February 10, 1821. That would be on Big Walnut west of what is now County Road 100 East. The land business picked up briskly after the first 10 pioneers settled. The land office in Vincennes was the recording center for the early land transactions which are also on record at the Putnam County Recorder's Office. **In case of duplication or disqualification, these are the next patentees.